Homes and businesses in rural parts of north east and central Fife have been affected. Around 1500 properties in north east and central Fife have been affected. The breakdowns have affected the council’s fleet of smaller refuge vehicles which are predominantly used to collect from difficult to access residents and businesses outwith the larger towns and communities across the region. 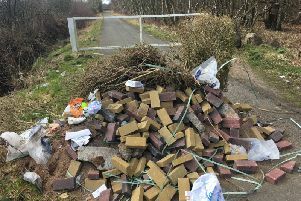 It’s understood the problem has not impacted on regular council bin collections across larger towns, villages and communities in central and north east areas.